The Youth around the world is dying of confusions. Life is uncertain was always true, but it's unclear is more true than ever. The information age is bombarding us with too many ways of life & options for career. Where everything looks cluttered, this book promises to simplify the perspective to Life, it's purpose & how to get there. Most readers use it as a Daily Inspiration Tool & have made the thumb rules from this book as thumb rules for LIFE, a Simplified life. 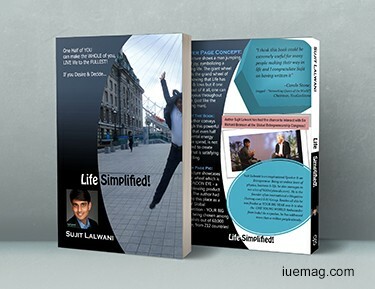 Bangalore, India - At 25 years of age, Sujit Lalwani discovered the secrets to living a life of purpose, focus and meaning and combined those principles in the most simple readable form for the youth across the globe in the book Life Simplified!. “Life Simplified!” is a simple, easy-to-read book that helps readers realize the purpose of life, build their life on strong core principles, simplify perceptions of life, build thumb-rules for life that never leave in any adverse situation and achieve a simple approach to tackling most pressing issues of career, relationships, self-leadership & self-actualization. This book has been a feast for the non-readers too owing to the simplicity and youthfulness. It talks about pertinent topics such as passion, determination, failure, patience, hard work, vision, inspiration and the challenges that people must overcome in order to know what direction is best for them. In a nutshell, it is a guide to the most pressing questions of this ever-confused generation. It is a self-published book by his company Inspiration Unlimited. The book has received international publication support from Partridge India. The principles in this book have helped him achieve global success as an entrepreneur, author and an inspirational speaker. He is 29 today and is relentlessly in pursuit of simplifying lives of masses globally through his book Life Simplified!. “My urge to keep life simple, easy to handle and yet full of growth beyond all boundaries to execute everything that needs efforts, effortlessly, brought me to write Life Simplified” shares Mr Lalwani. "I think this book could be extremely useful for many people making their way in life and I congratulate Sujit on having written it" says Carole Stone, the founder of YouGovStone, also called the 'Networking Queen of the world'. 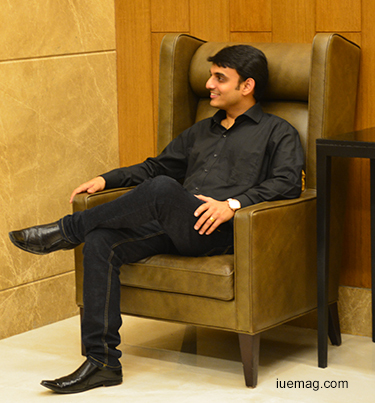 Sujit Lalwani is the founder & director of Inspiration Unlimited that has trained a lot of youth globally and has given the world the most powerful platform of i3 (Influence * Inspire * Impact) which is currently in multiple cities in India & expected to set foot steps in Nepal & Malaysia this year and next. Mr Lalwani is the founder of 36Meals charity that has made great impact globally in preventing wastage of food. He also heads the iU Cares Foundation which works on important areas of education, health and environment through several projects. As an inspirational speaker he has impacted millions of people globally. He now expects to simplify lives of thousands of youth across India and the world through this book of life simplified. He also wishes to organize TV shows, webinars and programs on simplifying lives under the banner Life Simplified. This book truly is a must read for all young people who wish to discover a direction in life to lead a meaningful life with clear goals, dreams and purpose. Eventually more simplified lives only means a more peaceful world. “Life Simplified!” By Sujit Lalwani is available on www.lifesimplifiedbook.com for Indian nationals and on Amazon & Barnes & Noble for international readers outside of India. Any facts, figures or references stated here are made by the author & don't reflect the endorsement of iU at all times unless otherwise drafted by official staff at iU. This article was first published here on 13th May 2016.